Posted on 21/10/2013, in the whole rom com list, top rom coms, zom coms and tagged Analeigh Tipton, John Malkovich, Nicholas Hoult, Rob Corddry, Teresa Palmer. Bookmark the permalink. 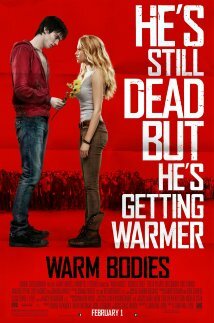 Comments Off on Warm Bodies.